Ticket scanning app for ticket redemption at any event or venue. Configure CodeREADr as the ticket scanner for your event or venue. 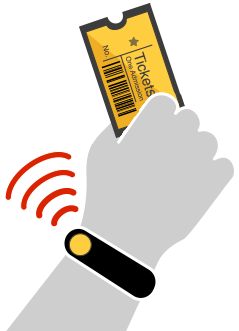 Over 80 electronic ticketing companies globally already use us for event access control. 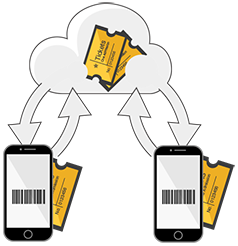 Whether it’s a training session for twenty people or a concert for 65,000 arriving in just 2-hours, our cloud based ticket validation infrastructure and specialized mobile application can handle your audience and business requirements. Fastest barcode ticket scanner in the industry. Speed + Accuracy + Versatility. Read barcodes in fractions of a second, including small, dense, damaged, partially obscured and poorly printed barcodes – even at extreme angles. See the barcode scanner in action. Real-time ticket validation in the cloud. Completely eliminate fake and duplicate tickets. Real-time integration quickly validates IDs in the cloud, generally in under a second. Internet unstable? Use our on-device (offline) database option with Auto Sync in the background. Instant on-device ticket validation with background auto-sync. This extraordinary technology uploads scans and syncs databases across all devices totally in the background. The ticket is instantly validated against an on-device database and the app user doesn’t need to manually upload scans or download databases. Scan any barcode on a ticket or NFC wristband. Electronic tickets, printed tickets, print-at-home tickets, ID cards – we’ve got you covered. Our ticket scanning app can read 50+ barcode types, NFC wristbands and cards, magnetic stripe cards – plus manual keyboard entry and a guest list search feature. Use smartphones, rugged sleds or barcode scanning accessories. Scan with your smartphone or tablet’s built-in camera. Need point and shoot? Use USB and Bluetooth scanners, scanning sleds or Android mobile computers. Photo capture and photo verification. Need extra security? 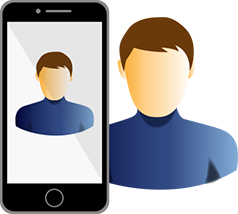 Simply enable your app users to view an attendee’s photo after each scan. Even capture the photo on-site at the event. Manage countless events each with unique app credentials. Authorize app users to immediately scan tickets for every event you create. Deploy for one event or simultaneously for 1000s of unique events and unique app users around the world. 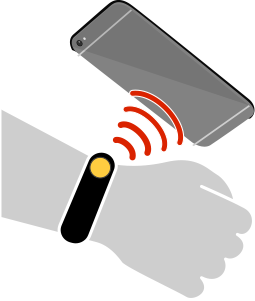 Scan the barcode on a wristband or RFID/NFC tag and then scan the attendee’s ticket to connect in your database and instantly create a new validation database right on-site. 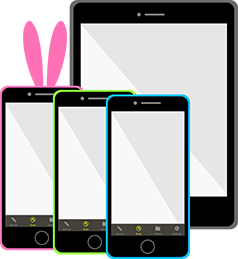 Event organizers can use their own smartphones and tablets. 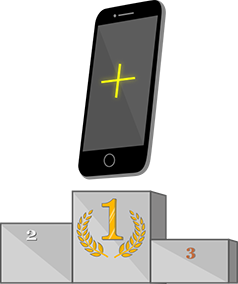 Provide devices to venues and event organizers or let them use their own. Integrate your event ticketing system with our API. Post scans to our servers or yours. Use our API to automate event creation, app users, databases and retrieve scan records. Controlled re-entry: scan-in and scan-out. Control access to the event, exiting the event and re-entry to the event. Even use photo verification for re-entry from photos taken on-site. White label ticket scanner app. Brand the ticket scanner app with your logo. To your clients, you are the service provider and we are the ‘code reader’. Need your own app? Upgrade to a white-label version with your own app store listing and app icons. 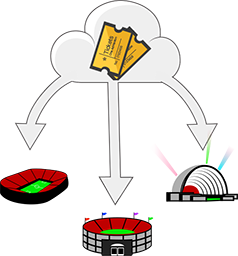 Learn more about how you can brand the ticket scanner.